Having started in entertainment at an early age, Michael Shea has built a lengthy career encompassing Stage, Film, Television, and Radio. Known as just “Shea” to his friends, he’s traveled the world performing for literally, hundreds of thousands of people worldwide as an actor, singer, dancer, improvisationalist, comedian and magician. Honing his skills in theaters all over the world, as an actor and song-and-dance man, as a Radio DJ in New York and Detroit, a syndicated Game Show Host and even a Circus Ringmaster, Shea has shared his talents with people all across the world to great praise and applause. His credits range from Shakespeare to Sondheim and he has performed as a lead or supporting actor with names like Kirk Douglas, James Woods, Michael J. Fox, Anthony Perkins and more. Building an impressive resume’ ranging from Off-Broadway to the Silver Screen and Television, Shea has lent his abilities to teaching at the University level, private instruction and more teaching acting and improvisation to hundreds of students over the years. Wanting to be as versed in as many areas of the entertainment world as possible, Shea has worked in such fields as entertainment and theatrical production, theatrical management, has directed many productions over the years and helmed a variety of live-entertainment troupes, improve groups, acting companies and private party entertainers. Over the years, Michael’s helmed some of the biggest entertainment companies in the Michigan, let alone the country. Largely building them himself. His style, experience and ability have enabled him to train over 250 entertainers to become some of the best in their fields. In fact, elements of his training regimen have now been incorporated into various Broadcast Arts schools both locally and nationally. 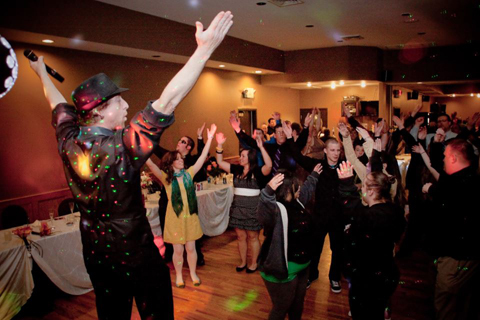 Your guests can be the stars of the show, singing the night away with thousands of songs from “Golden Oldies” to all the “Current Classics!” Have a full Karaoke party, or just add it on to your DJ package to make your event even more fun! Bringing an air of elegance to the special moments of your event, hundreds of floating bubbles capture the eye and create an air of beauty that both you and your guests will love. They also look fantastic captured in your photos and videos. Perfect for Weddings, Corporate events, Halloween and Holiday parties and anything in-between! A fog machine can help to create an atmosphere of class and romance, mystery, and dramatic impact. It’s up to you! A perfect addition to make any event stand out! 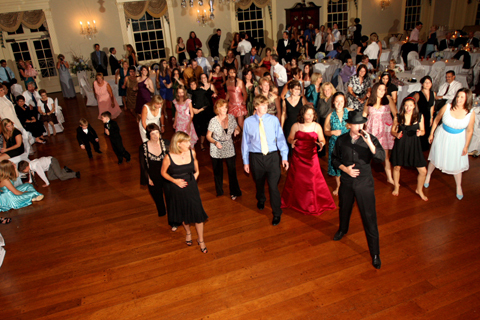 Create an atmosphere of fun and excitement by adding a deluxe lighting package to your event. This expanded light show carries a variety of room-filling effects designed to set the mood for any occasion. Perfect for larger events and venues! An assortment of Hawaiian Leis, inflatable instruments and sunglasses! Great to use for every situation. These favors are an excellent addition to break the ice, or just amp up the fun for your guests! Perfect for kids and adults! 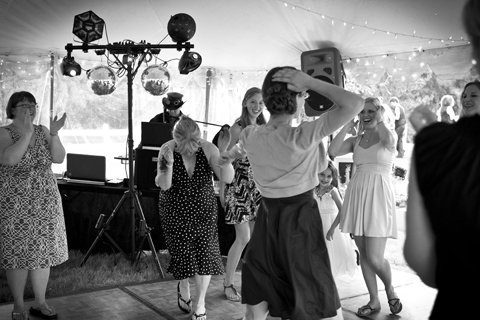 Our 4-6 hour DJ packages are designed to fit almost every party need, but sometimes you just need a little more time. Make sure that your party is covered from start-to-finish by adding an extra hour of time. 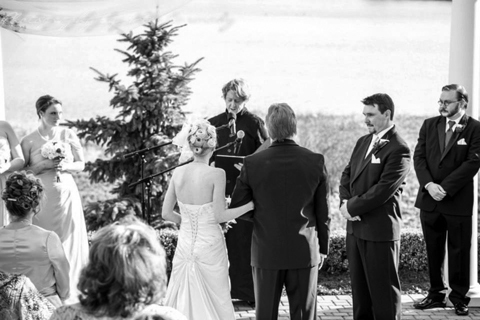 A second DJ system can be added to your event for things such as an outdoor ceremony, cocktail hours or dinners located in separate rooms. It’s perfect for adding sound and music in secondary locations to insure that your guests are entertained all night long! Dance the night away with these colorful, glowing neon necklaces. If it’s an atmosphere of high-energy fun and excitement that you want, then these are designed to create just that! Perfect for every party from Corporate events to School dances! 100 Necklaces in all! I could not have been more impressed with Michael Shae. Everyone keeps asking me how they can contact him to book him for their event as well. We have been to 5 weddings this year and Michael was by far the best. Thank you! Thanks for reaching out! We LOVED DJ Mike! The best part was he injected humor into everything and kept everyone laughing. He also rolled with any changes that popped up (we ended up doing a non-traditional garter toss where the garter was on a mini football because the groom did not want to remove it from the bride in front of his family/guests)- unfortunately the garter had to be very small and would not fit on the person who caught it. Mike was great about making a joke out of it and keeping things moving. Just let me say that you guys were fantastic!! Everyone loved you guys!! We had a blast and it couldn’t have gone better! !We are so happy that you decided to do that for us…thank you again, and we hope you guys had a good time as well!! We just got back from our honeymoon last Friday (19 days in Hawaii! It was awesome), and so we just wanted to make sure we told you how “AWESOME” you were at our wedding!We both are extremely happy and excited about how our wedding turned out and you were a main part of that! Your personality fit our crowd perfectly and your enthusiasm and “uniqueness” are incomparable to any other DJ I’ve ever seen! 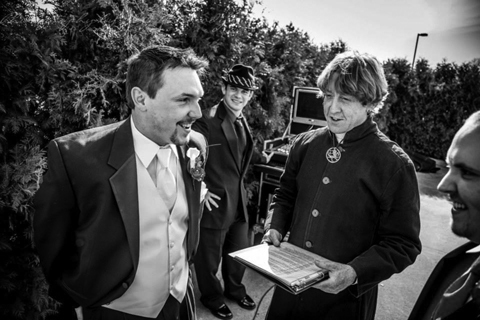 Several people have told us how awesome our DJ was and tons said it was the best wedding they had ever been to! 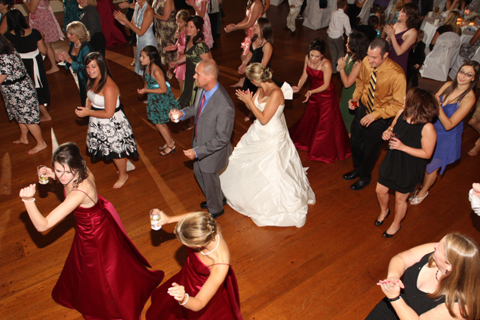 So, that makes a bride & groom feel great- that we threw a great party! So, thanks sooooo much for all the fun things you did for us all the stories you told about the bridal party were great- your tone was perfect for each story!!!! We cannot wait to watch the video!!!! Also, thanks for playing all the perfect songs you chose, as we weren’t good at knowing song names & artists, but as we told you, we knew we wanted you to play some top oldies, top country, and popular rock and top songs that were in today. So, thanks for playing great stuff! Everything turned out awesome because of you! I will highly recommend you to anybody! Please keep me updated if you change your email and/or phone number. You’re awesome and we were bummed when you were all done- it was sooooo much fun and our dream wedding! Thanks Mike! Thank you so much!! The music selection was awesome!! Everyone had a blast! Our guests really liked the fact that you went around to all of the tables and asked what they wanted to hear. Thank you again. You were great!!! A lot of things are planned to make a wedding great. But, in the end, it is only a few things that stand out. One thing that stood out at our was the music and the DJ. Everyone was so impressed with how personable and fun Mike Shea was and how great the music was. Somehow, he blended Italian music with Motown, pop and dance/techno flawlessly. Everyone loved him and everyday we get phone calls telling us that our wedding was so much fun, thanks to that DJ. Michael DJ’d our daughters wedding! And Michael did an absolutely AWESOME Job! I saw empty seats because he had Everyone on the dance floor-young and old! Michael worked extremely well with the guests. And he made sure that the Bride and Groom were happy! We would definitely recommend him to anyone having a wedding or any event that would need a DJ. Michael is great! I was a bridesmaid for my best friend’s wedding and she hired Michael Shea. He was fantastic! I have hired him for my wedding in ’08! I Love Mike Shea! 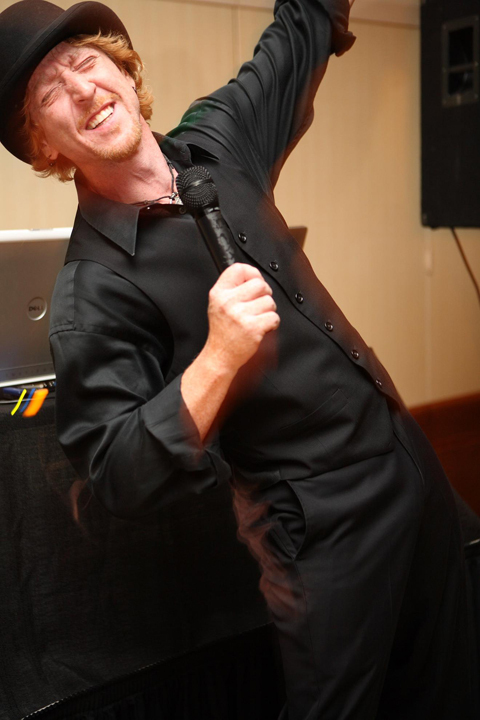 He’s the best, and he is Dj’ing my sisters wedding in May 2008, I told her its not a party without Mike Shea! I have been a wedding photographer for 10 years, and have never seen a DJ who could finesse the crowd, charm everyone in the room, and even get Grandma up dancing the way Mike can. All this without ever upstaging the bride and groom. He not only has a great sense of timing and showmanship, he is smooth and professional with a personal integrity that makes him a wonderful person to work with. Mike is the one DJ that I am confident I can refer again and again. 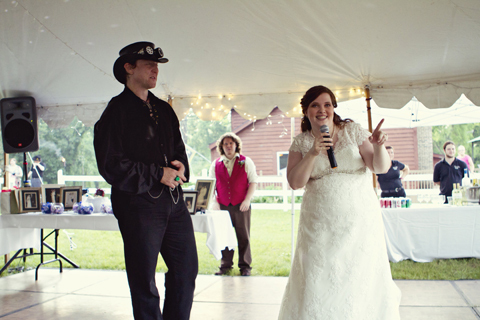 I think they were the best because everybody at our wedding was dancing and complimenting on how great they were. Mike did a great job with getting people involved. They played music that was fit for all ages and styles. My wedding was DJ ‘d by them and was the most fun I ever had at a wedding, not just because it was my wedding, but because everyone had a great time because everyone got involved, many of my family have commented on how much fun they had to this day..
As a fellow DJ I can tell you…Michael Shea is a legend in the industry. He is known nationwide as a groundbreaking DJ entertainer. His unique style is un-equaled and guarantees the perfect fit for the bride looking to make her once in a lifetime truly unique. He was the only choice for my wedding! 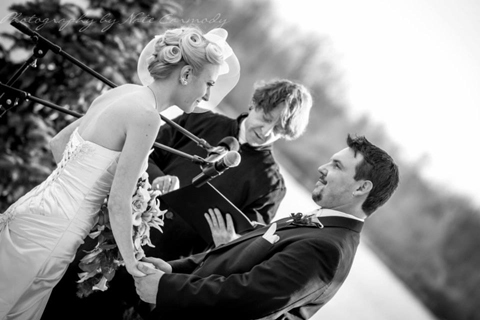 “I have photographed many weddings with Shea sounds over the past 14 years. I know that when working with Shea Sounds I can count on an evening that flows smoothly from one highlight to next, where the DJ will take control with out taking center stage. 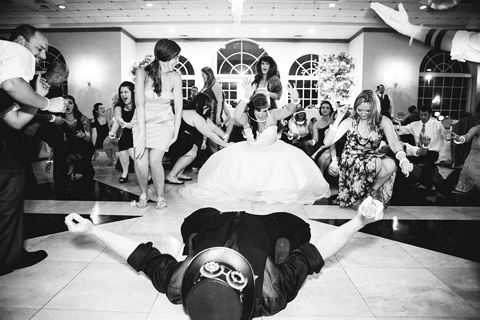 I know that at the end of the night I will have a happy, relaxed Bride and Groom, a rocking dance floor and a ton of great images to show my clients. 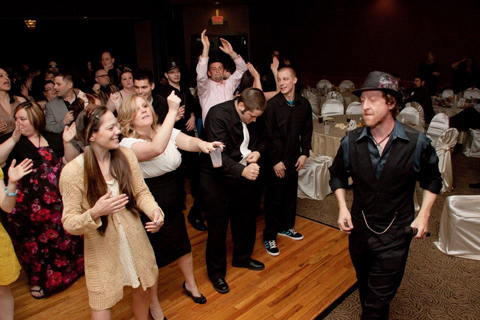 Mike Shea has an ability to combine energy with elegance as well as a natural gift for understanding what will make any group of guests get out and dance the night away! Way to go Mike…You still rock! Mike and his crew work so hard, even going beyond what being a DJ is all about, helping the hall staff clear tables, etc..
Amazing – he made my sisters wedding awesome. He really followed what they wanted with a little extra touch and very professional!!! Did a Wonderful job! Our guests all had a great time, And we had an absolute blast!! After seeing Mike at work for 5 Minutes, We immediately knew Shea Sounds had the job and Mike Shea was the DJ for us!! He never even batted an eye when we asked for music from the Muppet Show!! 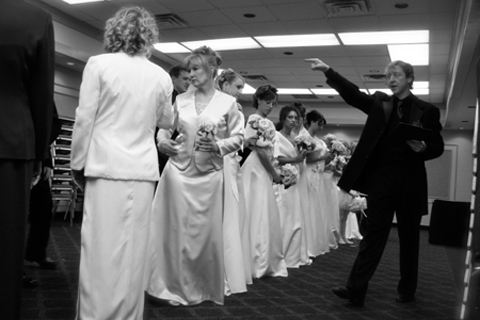 He helped make our reception a night to remember! Mike and his crew are awesome. Highly recommended! Everyone who attended our wedding kept asking who he was and where we found him. Many compliments where given to us on what a fabulous job he did! Thanks for a wonderful evening Mike!!!! Michael Shea and his crew are phenomenal and very personable, easy and straightforward to work with. My particular DJ, Garrett, actually went to Best Buy to pick up a projector for the video that we were planning to show but forgot a projector for to play it. They play wonderful music, catered completely to the wedding couple’s vision. You will not regret having them host and DJ your event, I couldn’t be more happier. 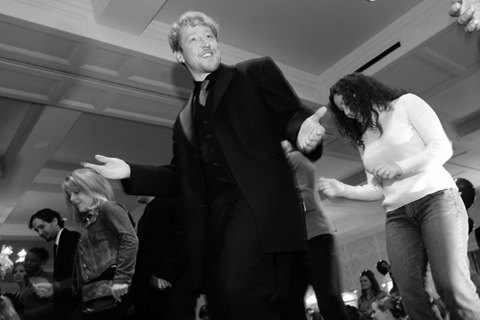 Mike is an all around class act and knows how to entertain — no doubt about it! I have worked with Shea Sounds and in my opinion he is one of, if not the best consummate professionals I’ve ever seen work and entertain a crowd! The single best wedding DJ around. The most entertaining and willing to accommodate to the clients needs, he really goes out of his way. If you ever need the best DJ ask for Mike. Michael Shea is entertaining and funny and completely dedicated to making sure every event he hosts is the best it can be. He puts in the extra effort to ensure that all event goers are catered to as a group and as individuals and he actually cares that everyone has a brilliant time!